In honor of the biggest bunny day of the year, the Alabama Gulf Coast Zoo's bunny brigade will hop on over to Breakfast with the Bunny at the Erie H. Meyer Civic Center for the City of Gulf Shores annual Easter celebration. It’s an old-fashioned family breakfast with an Easter egg hunt, photos with the Big Bunny himself, and of course, some of our adorable, little bunnies will make the rounds. That's Saturday, April 20th from 8:00 am-10:00 am. We love celebrating holidays at the Alabama Gulf Coast Zoo and Easter is no exception. On Sunday, April 21st, bring your family to meet our zoo family and watch how our animals enjoy their Easter treats (lions, tigers and bears love Easter egg hunts too, by the way). Go to visit for zoo hours and admission details. 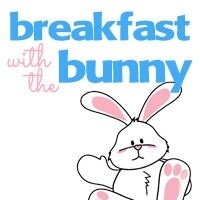 Hope to see you at Breakfast with the Bunny!